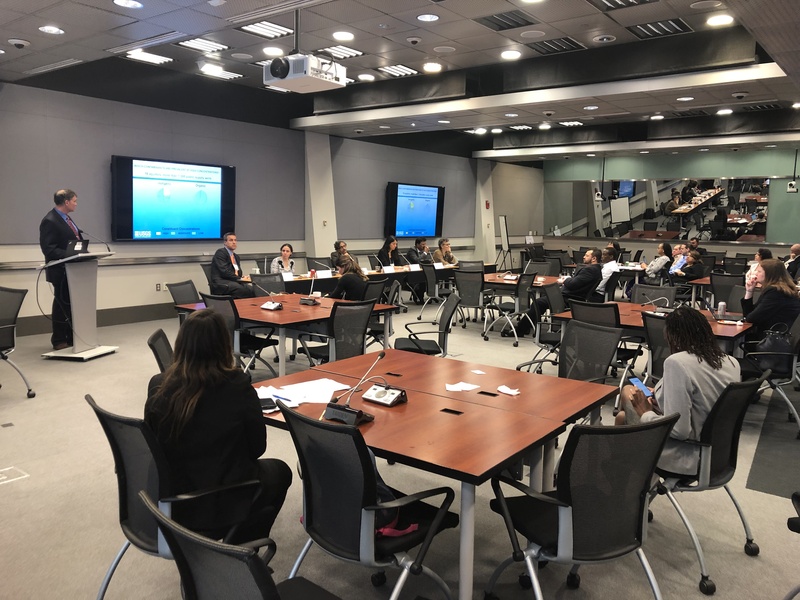 From April 2 to 4 2019, the flagship event of the World Bank Water Global Practice took place in Washington DC at its headquarters: The World Bank Water Week. This year, the event focused on promoting global learning and dialogue designed around the Water Global Practice’s three strategic pillars of Sustaining Water Resources, Delivering Services, and Building Resilience. The World Bank Water Week gives the Water GP (Global Practices) staff an ideal opportunity to learn beyond their own expertise through both technical essentials courses for non-specialists, and deeper dive into specialized topics. IGRAC was present in the Parallel Technical Session on ‘Groundwater Pollution: Challenges and Opportunities for Action’, on Thursday 4th April. IGRAC researcher Claudia Ruz Vargas gave a presentation on the global status of groundwater quality around the world and available sources of global data and information on this matter, and integrated the panel discussion to talk about the importance and relevance of groundwater pollution, what are the available solutions, and how the World Bank can help clients to address it.